Not too long ago a friend of mine asked me to help her make creeper shirts for her son’s Minecraft themed birthday party. All of the party goers were to receive a creeper shirt so they could be recognized at the party location. I was pretty sure this was an easy craft, so I set off to create a creeper face in my vinyl cutting software, and before long we had 20 Minecraft Creeper shirts. 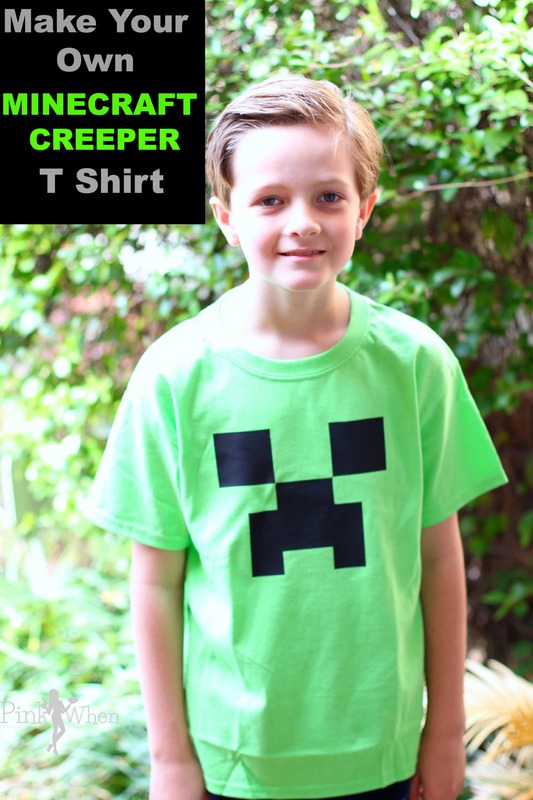 With our soon to be 9 year old son having a party soon, I decided to share with you this Minecraft Creeper Shirt Tutorial. What a cute shirt! It came out great!